The practice of collecting basic demographic information from customers to create a successful business marketing strategy is one of the past. In recent times, there has been a major shift in the way that businesses interact with their customers. The digital space has spread so far and wide that it has had a lasting influence on virtually everything we do. As a result, the conventional approaches to marketing that were prevalent even as early as a few years ago are considered severely ineffective today. The rapidly growing popularity of Big Data means that marketers need to embrace sophisticated approaches to processes and perform in-depth analysis of customer data, preferably in real-time. To stay ahead of the game and remain relevant in an extremely dynamic corporate space, marketers are adopting Artificial Intelligence and Machine Learning technologies. These not-so-futuristic (anymore) technologies are paving the way for next-generation marketing and advertising that puts the customer front and center: an integral part of the messaging. In delivering personalized content experiences, marketers have successfully implemented AI capabilities, including Machine Learning, into previously manual operations such as search engines. Google Now and Apple’s voice assistant Siri are only two famous examples of this advanced technology. As the technology gradually becomes more mainstream, Artificial Intelligence is also making inroads into fields such as finance and retail. The banking sector for one, has openly embraced AI, making it part of its customer-facing processes, and using it to design unique machine-based intelligent assistants to address customers’ frequently asked questions and banking needs. 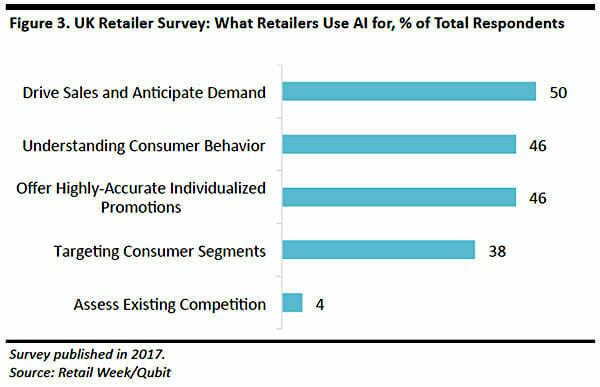 AI has also impacted retail since customers are now looking for more personalized online and offline shopping experiences. In this competitive corporate scenario, content marketing is a pivotal part of a business or brand’s messaging and to achieve success it must adapt dynamically. It is evident that the content marketing industry has embraced Artificial Intelligence and Machine Learning as new, vital technologies. To appreciate how AI has impacted content marketing, let us understand the difference between Artificial Intelligence and Machine Learning. Artificial Intelligence is simply a term that describes the way a computer program or machine can imitate various types of human behavior and thinking, such as movement and speech, and being able to implement acquired intelligence to perform different actions with minimal human intervention. 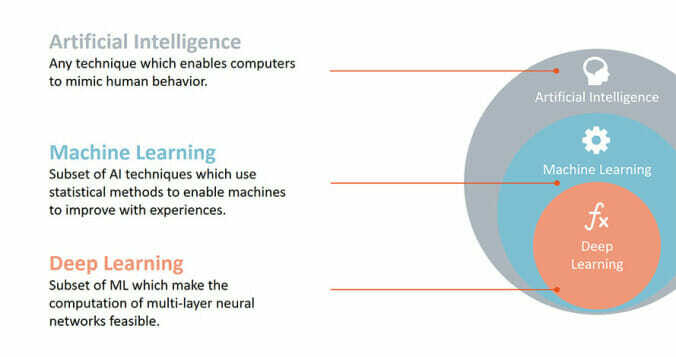 Machine Learning allows a computer application or program to recognize and learn from patterns in data. The ML-integrated program or application is then able to improve its capabilities without human assistance. An Artificial Intelligence-based platform that is more sophisticated is better able to detect and predict how patterns will form in data. By being able to continuously access relevant insights from rapidly increasing volumes of data, a business’ marketing strategies and initiatives are drastically improved. 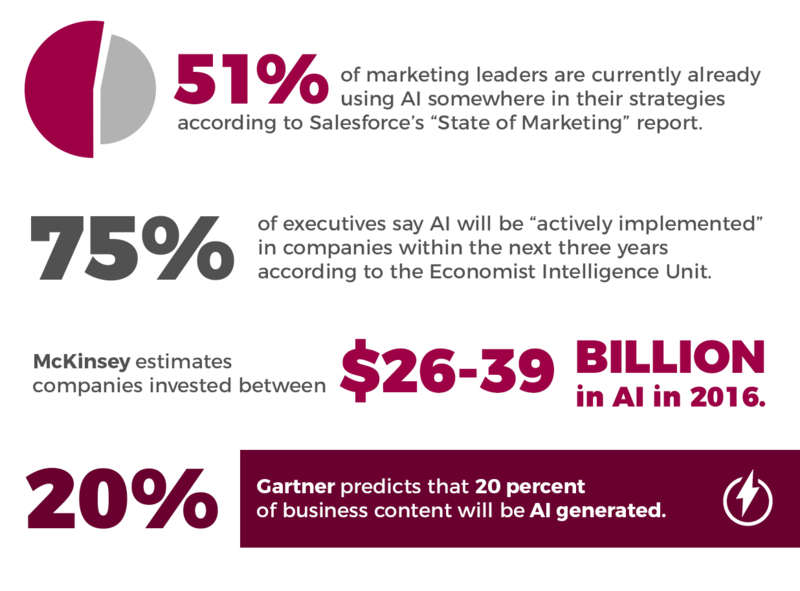 Now let us assess how Artificial Intelligence is redefining the content marketing landscape. 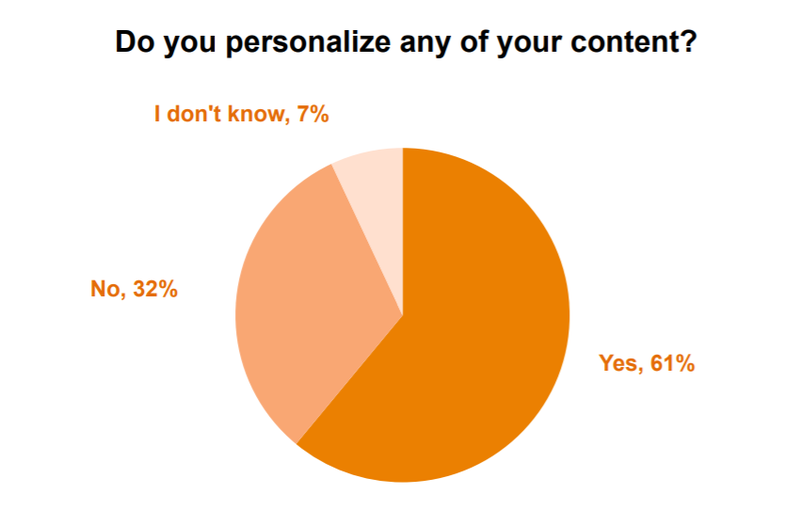 According to recent studies, 60% of content marketers struggle with personalization. This is a serious problem at a time when consumers are seeking highly unique, interactive experiences with retail brands. Today’s digitally savvy customers actively want to forge deeper connections with the businesses they patronize. Marketers have taken note of this dynamic trend. Several marketing automation software organizations are stepping up to this challenge by creating tools and solutions that enable marketers to focus on personalized engagement with customers. Marketers have realized that AI-powered tools and solutions can effortlessly automate the timing, communication channels, and type of content, allowing them to effectively streamline marketing strategies to align with the dynamic needs of every customer. This is achieved with ML integration that allows marketers to collect, analyze and store huge volumes of data. By performing in-depth analyses of various patterns in data, marketers create customized experiences for customers. The pivotal importance of personalization is highlighted in the findings of a Gartner study which concluded that companies that have made strategic investments in various types of personalization will easily outsell those organizations that haven’t by 20% in 2018. Offer audiences omni-channel marketing campaigns so they can engage with your content on devices of their preference. Leverage users’ demographic data to provide relevant content. This can be achieved by collecting information from users, such as their zip code, to deliver location-relevant content on their preferred topics so that they get access to material that they find interesting. Methods of analyzing data from various sources have gradually become more advanced. This means that content marketers are using more in-depth analytics tools and solutions to analyze the relevance and impact of their content. As the field of Artificial Intelligence progresses, AI-based algorithms will be able to create strategies by sifting through large volumes of data by recognizing and analyzing patterns. Forrester predicts that business organizations that primarily focus on insights will steal $1.2 trillion per year from their competitors that don’t. Natural Language Generation (NLG) is an important branch of Artificial Intelligence that is set to impact content marketing in the future. 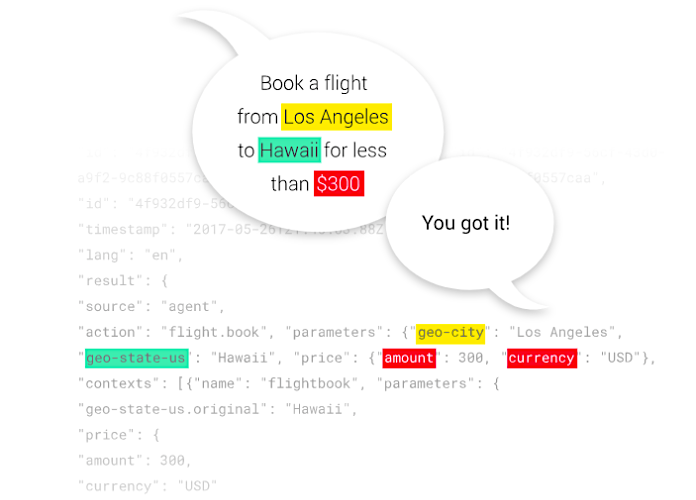 Natural Language Generation essentially uses specifically created algorithms to translate data into human-like language. This will result in the automation of news reporting and headline generation, among other tasks. A recent study by Gartner revealed that almost 20% of business-focused content will be generated solely by machines in 2018. However, this does not spell doom for content marketing. 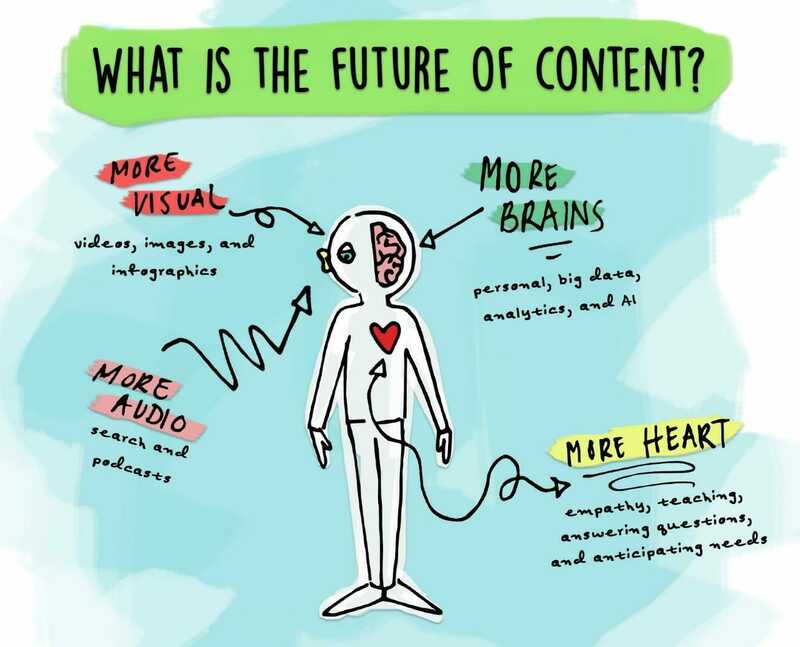 It only means that content marketers will have access to superior, advanced tools and technologies, enabling them to better analyze the content they create. Deeper insights will allow content marketers to effectively predict content performance and patterns in audience engagement. Hey Siri: How Do I Optimize For Voice Search? Let’s highlight four primary benefits of Artificial Intelligence in Content Marketing. 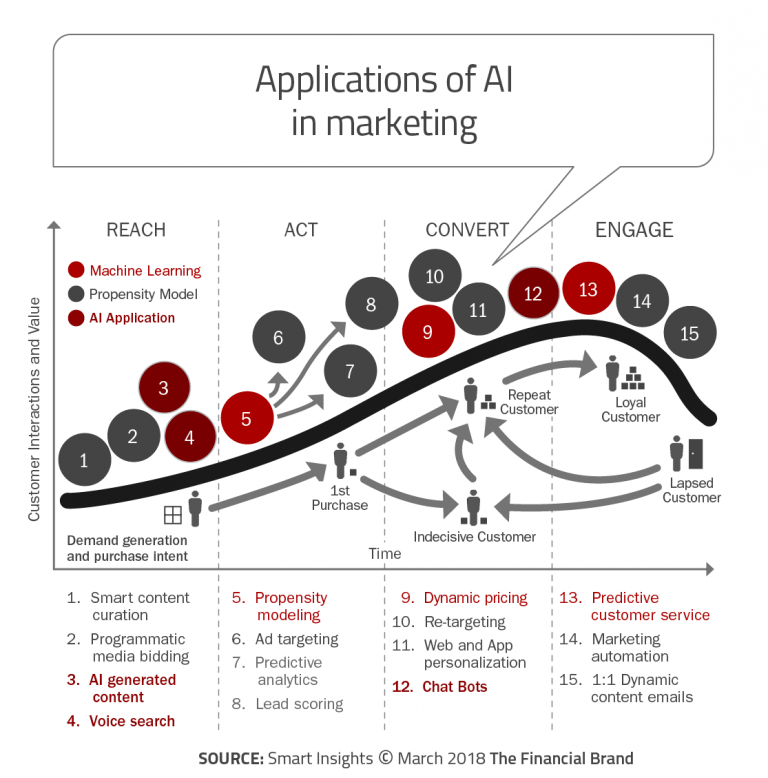 While Artificial Intelligence is gradually redefining Content Marketing, marketers who harness Artificial Intelligence technology in their marketing strategies and campaigns are well equipped to contribute to the success of business organizations. Mass message campaigns are now a thing of the past. Irrelevant content is a big source of consumer disengagement. Thus, it is only natural that many consumers will lose interest in a brand if their expectations are not met. 52% of consumers are likely to switch to a different brand or product if they do not receive personalized communication from the company. 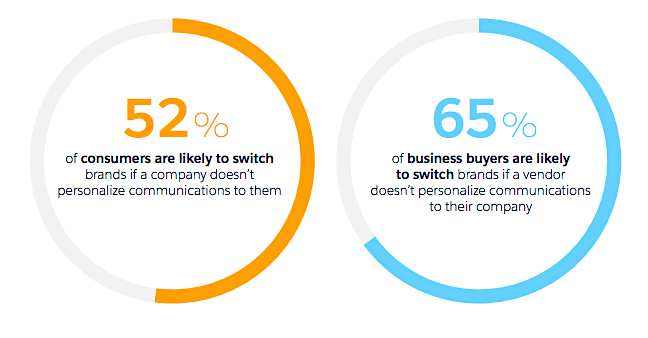 65% of business buyers would switch brands if their vendors don’t personalize communication. 72% of businesses reveal that enhancing the customer experience is their top priority. It is difficult to achieve the scale of personalization that is required to effectively deliver successful multi-channel marketing campaigns. While manual tuning of campaigns does not work, several marketers find they are falling behind in meeting customer expectations despite working harder and spending more. The biggest challenge for marketers lies in finding the right tools to support personalized marketing efforts. 80% of marketers reveal that personalized content is more effective than generic content. Personalization helps promote transparency in marketing campaigns and gives marketers control of their strategies. When marketers harness the potential of Artificial Intelligence, their marketing campaigns and strategies are vastly improved. This is because they use everything they know about their customers to customize the individual experience. 79% of marketing executives believe that AI will make their tasks easier and more efficient — but they must be prepared and able to translate data into meaningful interactions, to positively impact business performance. 75% of marketers say that they will actively attempt to implement Artificial Intelligence in their businesses within the next 3 years. Artificial Intelligence enables marketers to accurately predict relevant content for the right audiences. 61% of companies with innovation strategies are implementing AI to identify critical opportunities in data, and without this technology, it is likely that these business opportunities would be overlooked. This technology helps marketers realize the full potential of their audience data, automate and optimize customer experience extremely precisely. That means that by analyzing almost infinite amounts of data like age and income brackets, personal interests, geo-location, device used to shop, day/time preference for going online, etc., marketers are infinitely better equipped to make highly meaningful connections by delivering the right content at the right time. For example, rather than just targeting all women between 30 and 40 years of age “enjoy exercising,” you can further target those who prefer pilates versus running marathons. Today, the major part of a typical content marketing campaign process is manual. From keyword research and planning blog article topics, to content curation and sending emails, almost all lead generation tasks require human intervention. However, Artificial Intelligence integration in the process will give marketers access to deeper, actionable insights and enable them to accurately predict outcomes. The introduction of AI in the field of content marketing will essentially allow marketers to focus on tasks of higher value that impact business performance and leave the mundane and repetitive tasks to the machines. The marketing automation that content marketers utilize today is still primarily manual. These platforms help to save time, increase efficiency and productivity, and drive performance. However, they do not provide deep insights into data, make recommendations on actions to take, predict outcomes or create content. Artificial Intelligence will change all this for content marketers. Let’s take a real-world example from the burgeoning entertainment industry that has seen revolutionary change with the advent of streaming video platforms. The video streaming platform Netflix recommends and creates video content and entertainment shows based on in-depth analysis of viewer data and individual preferences. This is possible because of a strategic integration of Machine Learning systems on Netflix’s platform. 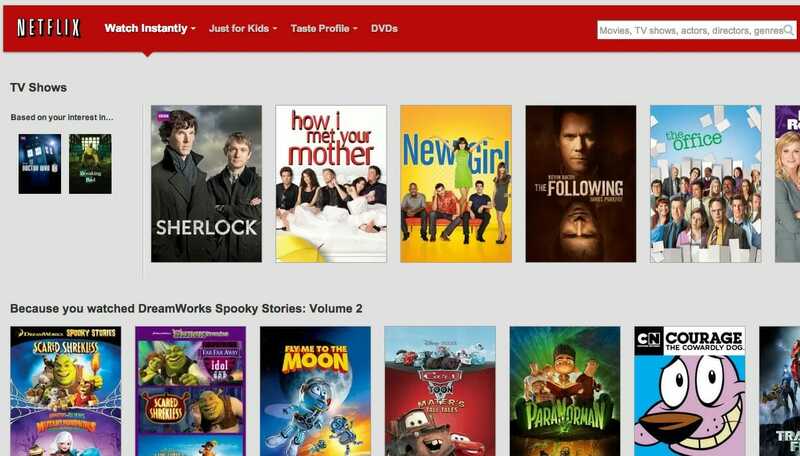 75% of what is viewed by audiences on Netflix is generated from algorithm-based recommendations. Similarly, AI-powered algorithms also power self-driving vehicles by Tesla, voice recommendation engines like Microsoft’s Cortana and e-commerce giant Amazon’s product recommendations. And we’re only going to see more of this in the very near future. It is highly evident, based on recent trends in the market, that data science will effectively change how businesses are managed because computer systems are going to be our primary aids in redefining the way businesses interact with their customers. If you want a credible example to highlight the changing face of content marketing, you need look no further than the social media network Facebook. After just a little over a decade in existence, Facebook is already harnessing Deep Learning capabilities with Deep Text, their AI language processing engine that has “near-human accuracy” in the way it understands and talks to real humans. Deep Text is used with their Messenger chatbot, to filter users’ News Feeds and perform facial recognition on photographs that are uploaded. Next Insurance uses Artificial Intelligence for its claims process that is “99.9% accurate” which allows the company to process their customers’ claims a lot faster. Spotify uses AI to offer personal music recommendations for its users, Apple uses AI for its virtual personal assistant Siri, and many retailer stores use AI for the perfect cross-channel experience for their customers. AI is already revolutionizing the marketing industry and will continue to transform jobs, disrupt content marketing much more rapidly than we can possibly imagine, and create immense opportunities for businesses that can effectively leverage this technology. However, there are dedicated attempts being made to make Artificial Intelligence technology more cost effective, affordable and easily accessible, which should propel the development and wider adoption of AI across various industries. The challenge, then, will lie in employing technical talent that is capable of building and executing Artificial Intelligence and Machine Learning solutions.